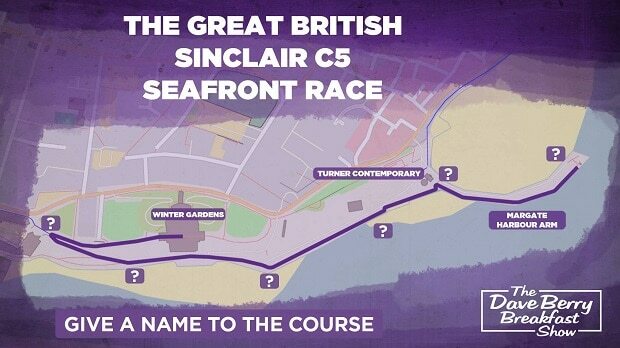 The Great British Sinclair C5 Seafront Race is to be held in Margate! 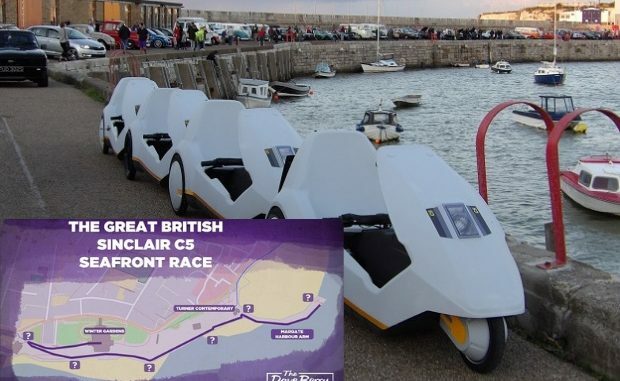 Presenters from Absolute Radio will be arriving in Margate on Tuesday (February 5) to take part in The Great British Sinclair C5 Seafront Race. The crew of The Dave Berry Morning Show will take on Andy Bush and Richie Firth from the Hometime show in the race, driving Sinclair C5s from the C5 Alive team at Fort Road Yard in Fort Hill. The route for the challenge runs from the Winter Gardens to the Mrs Booth shell lady at the end of the Stone Pier. C5 Alive, a Sinclair C5 enthusiast club run by Eddie Green and Neil Brooks, has more than 30 Sinclair C5s that have been lovingly restored full working order. The pedal and electric powered vehicles, built in 1985, have a top speed of 20mph. Dave Berry, Emma Jones, Glenn Moore and Matt Dyson from the breakfast show and Andy Bush and Richie Firth are expected to arrive between 10am and 11am. There will also be a Sinclair C5 ‘trophy’ made for the winner by Westgate cakemaker Nicola Bradshaw. 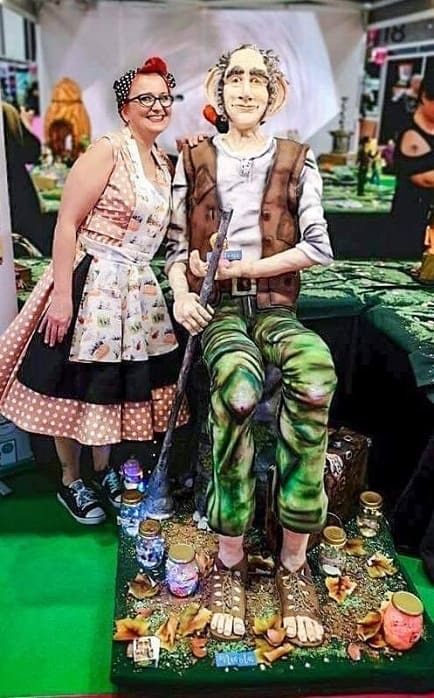 Nicola, 50, is the creator behind weird and wonderful cakes including a 6ft BFG which was on show at last November’s prestigious Cake International event at the Birmingham NEC. She will make the C5 creation from sponge and modelling paste. The Little Brown fairy Cake business boss said: “They have asked me to be the flag bearer to start the race and to make a small cake as the trophy. Listeners to the shows have been coming up for names for parts of the route, including yet to be added ‘chicane. Suggestions include Emins Hill and Jolly Boys Straight, Sir Michael Chicane and the ‘Chas’ and ‘Dave’ double bend!